If your elderly loved ones are in need of long-term, day-to-day assistance in their homes, p.r.n. offers senior home care services that help them maintain their independence and a high quality of life. p.r.n. home care offers affordable packages to transition your loved ones from facilities back home safely. This includes transportation home, medication pick up, grocery shopping, making it to M.D. follow up appointments and a caregiver to assist in getting accustomed to being at home again. Call to inquire about the different bundled home care services for senior citizens that are available. p.r.n. is a provider of aging-related services through the Allegheny County DHS Area Agency for Aging (AAA). Click here to learn more about the AAA online. p.r.n. is a provider of Veterans home care services. Click here to visit. p.r.n. 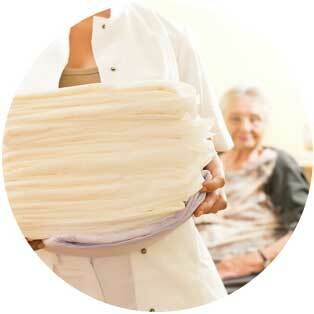 accepts most Long term care benefits for in home private care. Check with your provider today. Elder law focuses on the legal needs of senior citizens – including life insurance, medical issues, retirement planning, and estate planning. An elder law attorney usually has experience with cases related to Medicare, Social Security, veterans, and disability benefits. We recommend Julian Gray Associates for elder law services and estate planning.